The reason isn’t complicated. Apple stories are easier to hype and get more hits at the extremes. Without a runaway product hit lately, many media outlets are milking any negative angle they can find to pull in all the clicks that they can. The fact that Google, Microsoft, and Amazon all have critically acclaimed products that are see as equal or better than Apple’s offerings does add a pinch of legitimacy, but the tone of many of these article goes far beyond reason. The most prominent positive stories lately have to do with Apple’s stock price, and some of them still have a twinge on impending doom thrown in for good measure. It’s unfortunate, but the collective effect of all the negativity has a real impact on the public’s perception of Apple. Because of where WWDC falls on the calendar, after both Google’s I/O and Microsoft’s developer events, they do get the last word before we head toward major hardware releases in the second half of the year. However, because of their profitability and the market leadership that comes with it, there is also incredible pressure on Apple to match or exceed everything that their competitors announce leading up to their own keynote. A couple of months ago, Apple came out a made an extremely uncharacteristic public statement explaining how they went wrong with the unique design of the Mac Pro a few years ago, and how they hadn’t forgotten pro users of the Mac platform. The same statement revealed that new Macs (likely iMacs) geared toward pro users would come later this year, but that the Pro was also being re-designed from the ground up for re-release in a year or two. This news was largely seen as late in coming, but still positive by most of the tech media. I predict that Apple is going to try and build off of that statement, and show a renewed commitment to professional users. I don’t think that they are going to suddenly switch course and abandon the Touch Bar, but I think they will be VERY careful not to oversell its capabilities this time out. There likely won’t be any bombast or bragging. Apple knows it has bridges to repair here, so I am betting that the presenters will tread lightly, and do whatever they can to set pros at ease again. Apple still has a lot to be upbeat about when it comes to the iPhone. They KNOW that this next device is going to be a massive seller. Everyone knows it. I think they also know that many of the pieces are in place to take iOS to the next level on the phone. From iOS 7 to iOS 10, Apple has put a lot of time and effort into revamping pretty much every facet of the OS other than the Home Screen. There is still PLENTY of room for innovation, but I think refinement and improvement of what they already have will go a long way toward improving the experience of users. For example, there are useful features like Widgets, 3D Touch, and iMessage apps that are either easy to overlook or aren’t intuitive, If Apple feels like they have made progress here, I expect a very upbeat presentation. Another thing to consider is that little to nothing about iOS 11 features has leaked ahead of tomorrow. If Apple feels like it has some big new features or interface improvements, I wouldn’t be surprised to see them go over the top with it. In case everyone has forgotten, no one was predicting how big of an update iOS 7 turned out to be. There were rumors of changes to the look and feel of the OS leading up to that year’s keynote, but no one knew how deep the changes actually went beforehand. The information vacuum right now reminds me of the leadup to iOS 7, and if there are big changes coming tomorrow, you bet that iOS on the iPhone will see a large share of them. I honestly expect someone to take the stage spitting fire talking about the iPad Pro tomorrow. If the early sales numbers of the new iPad are strong (and they have been rumored to be), then I expect that to be mentioned to lead things off. However, I am betting that the presentation takes on more of an edge after that. The media has been killing Apple over the slumping sales of the iPad category, while simultaneously fawning over Microsoft’s cool but very expensive Surface lineup. The iPad Pro may not have reversed the product line’s overall downward sales trend yet, but it still absolutely runs rings around the Surface in total sales numbers and in revenue generated, which no media outlet outside of Apple blogs ever mentions. I expect Apple to make this sales distinction very clear in a pointed way tomorrow. The iPad is by far and away the most popular tablet in the market, to the point where it has become THE brand name associated with the category. It wasn’t an accident that MS started calling the new Surface Pro a computer recently, rather than a tablet. That wasn’t an arbitrary shift. Apple knows it, and they are going to hammer away with numbers and figures that are to their advantage. The really interesting thing will be how far iOS 11 goes in making the iPad Pro more “Pro.” We all know about the rumors of the 10.5″ iPad being announced at the event tomorrow. What I am wondering is if that will be the only big news, or if there will be important new OS features to go with it. Either way, I think this will be the most aggressive part of the WWDC presentation, but if there are significant OS enhancements, look for Apple to really go all out talking about them. I think Apple will come out feeling like it has something to prove with the iPad. Not so with the Apple Watch. They have already swamped the competition and taken over the wearables space. You can bet we will hear about that. Apple made VERY smart changes to watchOS and to the marketing and focus of the Apple Watch last year, and it evidently worked beautifully. As a Watch user since the initial release, I was very impressed with how quickly they innovated and how they paid attention to what critics and users had to say. I still love my Watch, and I wear and use it everyday. I don’t think there will be near as many changes this year, but I think we will see Apple touting refinements and new features that are laser-focused on fitness. Who knows if we will see anything new, but whether we do or not, Apple will be confident as they talk about a growing segment that seems to be doing better than many in the media were predicting a year ago. The wild cards here are whether Tim Cook finally reveals any sales numbers and whether there will be any discussion of Apple’s other big selling wearable- the AirPods. Considering that both are likely very positive and in Apple’s favor, I wouldn’t be surprised. Since Apple hasn’t released any Watch sales figures to this point, a big number would make headlines. As for the AirPods, its more of a matter of categorization. Does Apple group them with the Watch, with Beats audio products, or in a category all to themselves? When they are mentioned tomorrow should let us know where Apple feels that they fit among their hardware. Where exactly does the Apple TV fit in Apple’s product lineup? It’s hard to know when I don’t even think that they do. Well, it might be more accurate to say that Apple knows what they would LIKE Apple TV to be- a gateway to an Apple service that is a full cable/satellite television replacement. They just have no realistic pathway to get there, so the whole thing just seems to be stuck in neutral. I was excited about the possibility of the App Store coming to the television when the current hardware was announced, but Apple just completely blew that opportunity. I don’t say that often, but in this case it’s true. They were too late, waiting until the iOS App Gold Rush had already slowed. The implementation of the store was sloppy and disorganized. The worst decisions, however, were requiring devs to use their touch-based remote for all apps, and not including a solid game controller in the box. These decisions insured the Apple TV’s failure as an in inexpensive gaming platform. Ugh. What could have been. All that said, with the prospects for this product category frankly so bleak in the near term, I have no idea how Apple will approach it if it makes the presentation. A hardware refresh with 4K capability is already overdue, but there haven’t been many rumors of that coming tomorrow. Is it possible that Apple will just bypass mentioning the Apple TV and tvOS altogether? I honestly wouldn’t be surprised. If they do talk about it, I can’t imagine anything beyond feigned optimism. As with the Watch and watchOS, Apple did a very good job with its sophomore version of Apple Music. The app’s re-design was a big improvement, making the service far more intuitive and easier to use. They have drawn much more positive reviews for the changes that they’ve made, and have seen very respectable adoption of the service, easily pulling into second place beyond Spotify. I think the presenters will be very upbeat and positive about the service’s numbers and adoption. On the other hand, Apple has taken a lot of shots in the media for their early, somewhat scattershot efforts in video content. Any mention of Planet of the Apps draws immediate derision, and even the popular Carpool Karaoke has drawn only lukewarm praise. A lot of the criticism of Apple is directed at the fact that, to this point, there is no clear vision as to what they are going to do in this space. The media sees Netflix and Amazon way out in front in terms of original video content, which is true, but conveniently forgets that they also started small with forgettable shows like Lillyhammer and Alpha House, respectively. Still, it is no secret that Apple is going to add their video content to the Apple Music app, and that those changes will be detailed tomorrow. I look for the presenters to try their best to sell not only the changes to the app, but some kind of vision for what Apple is doing with video. No matter what, I think the media’s response will be negative, but I look for this part of the presentation to be geared toward tempering the both the negativity and the early expectations. Apple knows this is what everyone will be watching for going into the event. We have the rumors of a Siri Speaker being announced, and some rumors of updates/upgrades to the service as a whole. Considering that Siri has tangibly fallen far behind Google Assistant and Microsoft Cortana in many ways, and that it is barely equal to Amazon’s relatively new Alexa, Apple knows that they will take a media beatdown if they don’t play tomorrow just right. It is easier to get a feel for how confident Apple may or may not be in some other areas, but there is really no way to know in advance how they are feeling about Siri. They know they have to sell users and the media on what they are going with the service, both in the short or long term, so that’s why I predict that the presenters will lay on a heavy sales pitch. What I don’t know is how they will do it. Will they play it safe and try and cover up and avoid potential pitfalls? If so, then Siri still isn’t where it needs to be and they know how that will play. If the pitch is conservative, they are trying to minimize the negative press coverage on how they are still falling behind. If they come out sounding confident, that could mean that real progress has finally been made in improving Siri. The most interesting part of this segment will be how Apple positions the Siri Speaker (assuming the rumors are true). If they are aggressive and positive in how they tout the use of Siri and its assistant features, then it will really underline that they are confident that the service will be up to the task. If they are conservative in their approach, temper expectations, or tout the music playback/speaker quality aspects of the device over Siri, then that will indicate that Apple knows they still have a lot of ground to make up. If the latter occurs, it could be a negative media bloodbath. Before I start, I know that Siri kind of goes hand-in-hand with AI, but with Siri currently under fire and with a piece of hardware likely tied to whatever is presented, I think that any discussion of Apple’s current work in AI will be separate from Siri. I have absolutely no clue what Apple will have to say about AI, or how they will say it. A lot of what they presented last year seemed like it was forced because of how much Google focused on it at I/O. Apple showed that they were working in the space, but a lot of what they talked about, like differential privacy, was more informational or proof-of-concept, with very little in terms of actual features. Apple needs to go further than that tomorrow, but are they ready? The tone of the AI presentation last year was positive, but the presenters were careful not to oversell. If we see more of the same tomorrow, then Apple frankly isn’t making progress fast enough, and they know it. If that happens, they will be called out on it, too. However, if they have some real steak to go with the sizzle this year, then a more optimistic tone may point to some real progress in AI over the last year. The tone of this part of the presentation will tell us a lot about how the current Apple leadership prioritizes AI, as well. The growing sales numbers of Apple’s Services business are definitely reason for optimism. I’m sure we will hear plenty about that when this broad category comes up. I’m not sure how many new features Apple will have to tell us about, though. If they do have new goodies for iCloud, Maps, Photos, etc, then expect the presenters to make a big deal about them and sell how this is now an area of strength for the company. If there aren’t a lot of new features in Services, I expect the optimism to center on the sales and user adoption figures. I don’t buy into all of the negative press that has swirled around Apple over the last couple of years. However, I do think that tomorrow’s WWDC comes at critical juncture for the company. Perception has a way of becoming reality, and that is definitely true in this case. On several occasions over the last year, everyday iOS users who know I keep up with all things Apple asked me questions like, “What’s wrong with Apple?,” or “Why is Apple so far behind everyone else?” It isn’t as if the company doesn’t have any issues or challenges at the moment, but most of these people are genuinely surprised when I tell them that Apple is currently the most profitable company in the history of capitalism. All of the negativity in the media has a way of making people who don’t keep up with the tech world think that Apple is legitimately in trouble as a company right now. Apple’s best chance to flip this script and to change the current media narrative that surrounds them comes at tomorrow’s keynote. If they come out with announcements that equal the impact of the iOS 7 event, the tone of their coverage will change for a while. If you recall, the narrative going into that WWDC was that iOS was stale and that Apple had fallen so far behind Android that users would soon abandon the iPhone and iOS in droves. To be honest, iOS 6 WAS stale, and it had fallen behind Google’s pace. However, after showing off the compete revamp that was iOS 7, all of that talk immediately disappeared. The coverage immediately changed from a focus on what Apple wasn’t doing to what they actually WERE. The issues that face Apple today are more widespread than they were in 2013, so it will take more than a refresh in one area to have the same effect as that keynote. However, even if it is just in some of the areas of weakness touched on above, Apple has an opportunity to get the focus taken off the negative comparisons with rivals, and put onto progress they are making, and the priorities they are setting. This will only happen if they’ve done their homework over the last year and made strides in areas of critical need, such as Siri and AI. Personally, I don’t think Apple will pull this off across the board, but I do expect them to pick up a few key wins that the media will embrace after the event. Whatever happens, events like these are so carefully staged and rehearsed for a reason. Apple has a message that they want to come through, and in the end, it’s really all just a big sales pitch. In my opinion, the most reliable way to see through that and tell how Apple’s leadership and the presenter really feels about the things they discus tomorrow is their tone and delivery. If you watch the livestream tomorrow, open up your eyes and ears and pay attention to HOW the presenters deliver the goods, rather than just what they are talking about. This will tell you as much about how the Apple leadership perceives what is being discussed as anything that is actually said or shown. 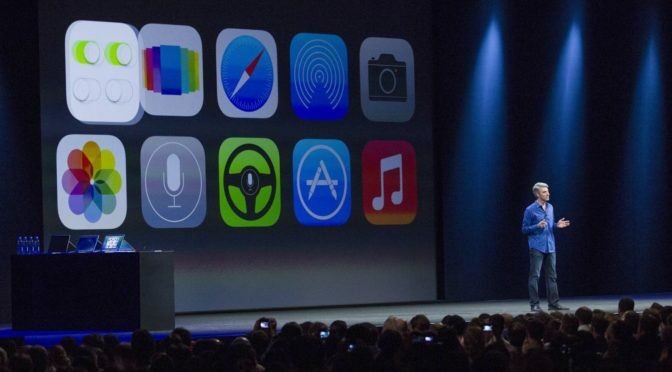 What do you think about the WWDC Keynote tomorrow? 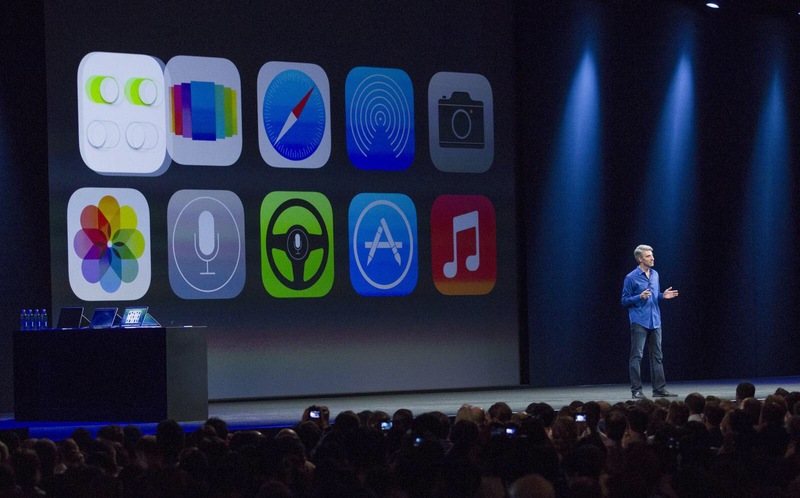 How do you think Apple will deliver the good on Siri, AI, iOS, or other products? Have any predictions of your own? Let me know in the Comments section below, on Flipboard, on our Facebook page, or on Twitter @iPadInsightBlog.